This is my negative file that includes negative #14 which will be used to make "Twisted Snow Gum, Charlotte Pass" . 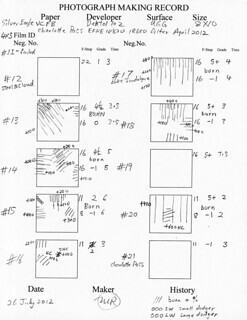 The top of the file includes hand written data and notes relating to these four negatives. 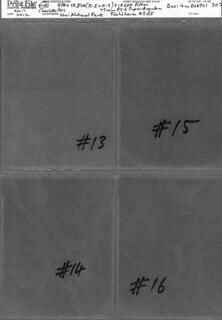 This is my darkroom record for making photographs from a series of negatives including negative #14. 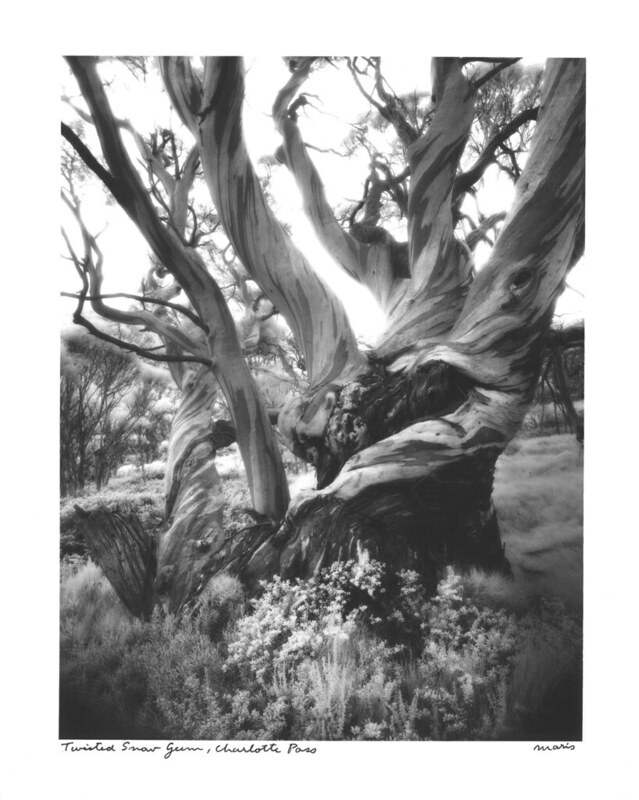 This negative will yield the photograph entitled "Twisted Snow Gum, Charlotte Pass. Twisted Snow Gum, Charlotte Pass, verso. This is the back of the photograph "Twisted Snow Gum, Charlotte Pass." 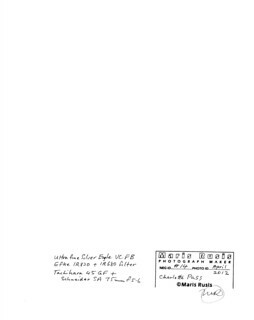 Image data is written in archival pigment ink and the stamp asserting my copyright is in grey archival ink. Twisted Snow Gum, Charlotte Pass. Gelatin-silver photograph on Ultrafine Silver Eagle VC FB photographic paper, image size 21.2cm X 16.2cm, from a 4x5 Efke IR820 negative exposed in a Tachihara 45GF double extension field view camera fitted with a Schneider Super Angulon 75mm f5.6 lens and IR680 filter. Titled and signed recto, stamped verso. Re: Steps not often seen. 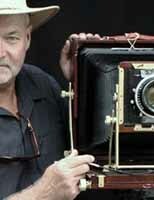 Can you link to larger images? Those ones are a little small to read. I'd be interested to read your notes properly! Every negative I make goes through a similar production sequence. Its amusing to look through Photograph Making Records from a couple of decades ago and see that very little has changed.